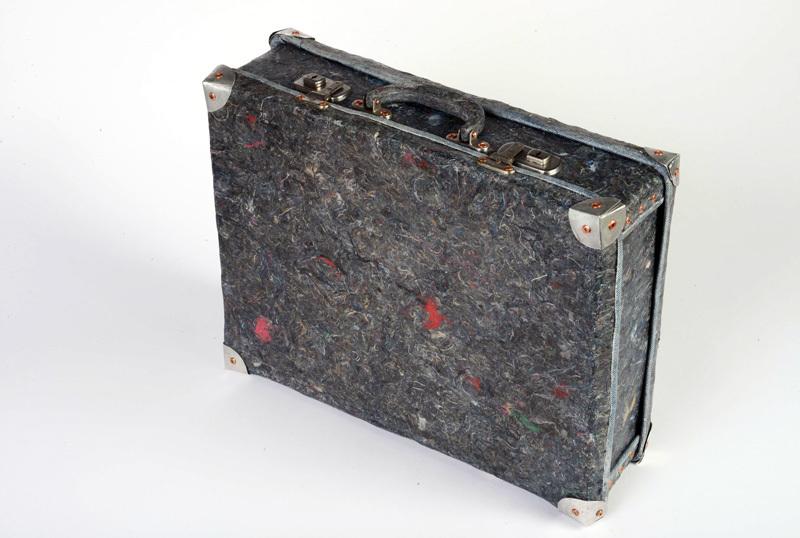 The Fashion Fluff Suitcase is a project that considers the amount of textile waste that we produce in the UK. 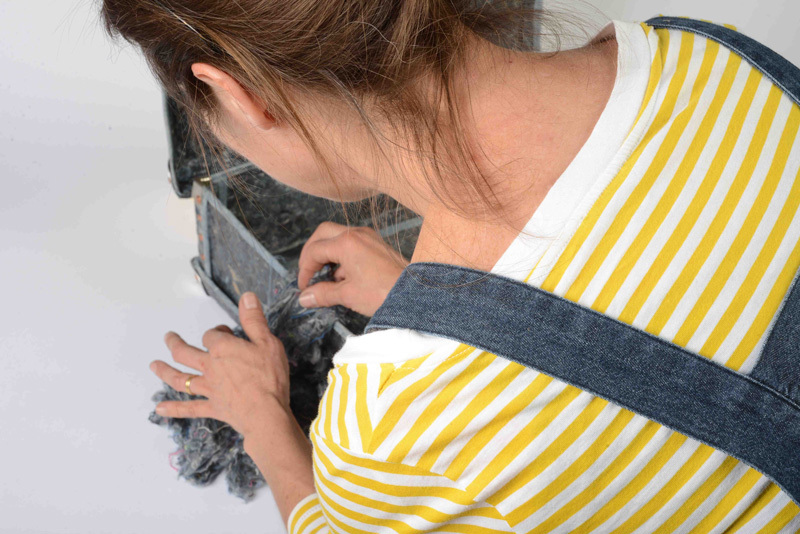 With 1 billion items of clothing ending up in landfill each year, we need to find ways of utilizing this raw material and find new applications for it. 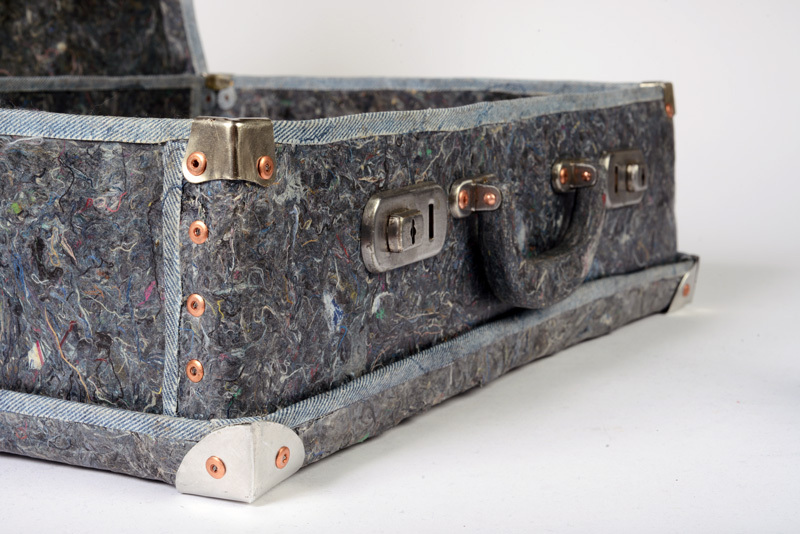 As with many of my projects, I wanted to see if the raw material from a specific waste stream could be repurposed into a new material that could then have the potential to be applied to contemporary applications. 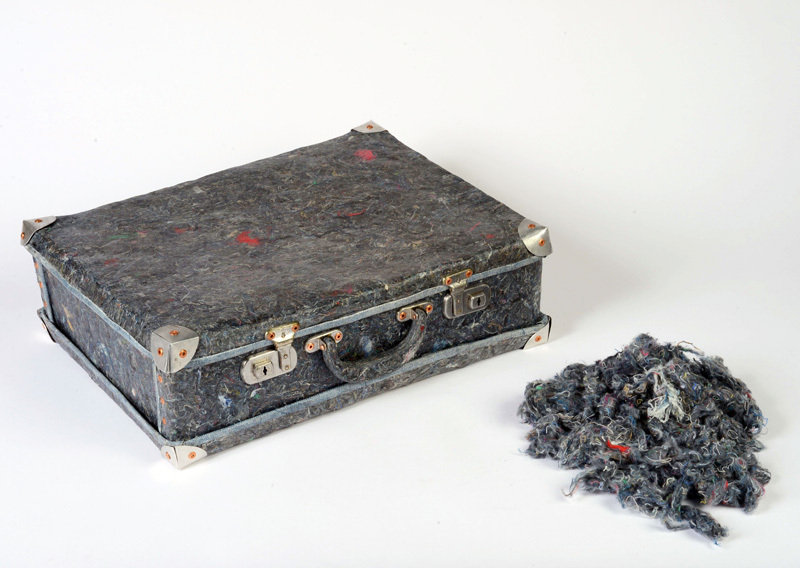 The suitcase, as a clothes vessel, draws our attention to the inherent beauty still remaining in a material, the colourful threads one can decipher even after it’s gone through various stages of life & death. Certain materials can begin their life as perhaps an expensive designer item of clothing, and then when the frivolous taste of fashion rears its fickle head it gets resold as a second hand item. 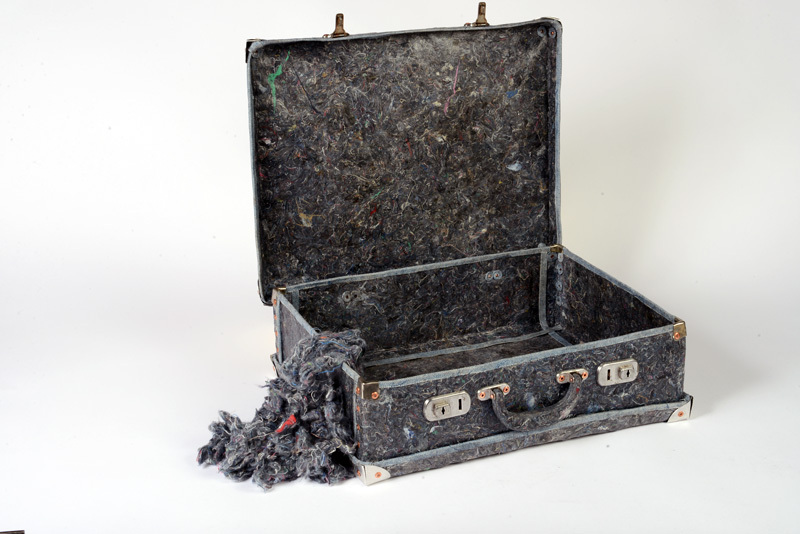 After that, it may become shredded to be used fleetingly for rags and finally at the end of it’s life, it gets pulped to fluff to be hidden in walls as insulation or stuffed into mattresses, never to be seen again.